A living will is a legal document that makes your end-of-life wishes known. A living will in combination with completed medical power of attorney forms is also known as an advance directive. If there are certain medical procedures that you are not agreeable to, a living will is the document that can ensure that your wishes are followed out. For instance, if having your life sustained by mechanical means such as a ventilator is not something you would choose if you could speak for yourself, a living will can direct your designated medical power of attorney to refuse those types of procedures. 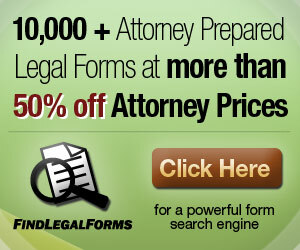 Many people think that they need to hire an attorney to draw up living will documents. And although hiring an attorney to prepare a living will is an option, it’s the most expensive way to obtain a living will. Living will forms are specific to the State where you have them prepared. This standardization allows for living will templates to be created where you can merely fill in the blanks. The least expensive way to have a living will before it’s needed is to download a State-specific printable living will template and complete it following the easy to understand instructions. Some States require that your living will be notarized but many only require that it be witnessed by an adult. The individual or individuals that you designate on your medical power of attorney forms is known as your healthcare surrogate. This is the individual that will speak for you in the event that you cannot speak for yourself. Merely naming someone as your healthcare surrogate is not enough. You must take the time to communicate with your healthcare surrogate to be certain that they understand your wishes and that they will be willing to make sure they will be carried out. 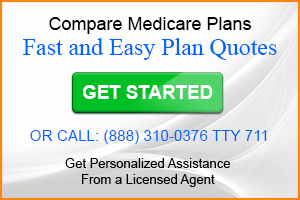 It’s often a good idea to designate more that one person to be your healthcare surrogate. In the event that your primary surrogate is unavailable you can increase the chances of having an advocate by designating more than one person. It’s a good idea as well to give your doctor, financial advisor and pastor or clergyman a copy of your living will. If you are completing living will forms when being admitted to the hospital… you’ve waited too long. Take the opportunity to download printable living will forms today.